Add Tasks ( TPL ) classes to Unity running Scripting Runtime Version 3.5, and Unity 5.0+. Support for running code on background / asynchronously with error handling support. Support for running code on main thread, from any background thread. Add Tasks integration with Unity Coroutines, logging support, and Editor integration. 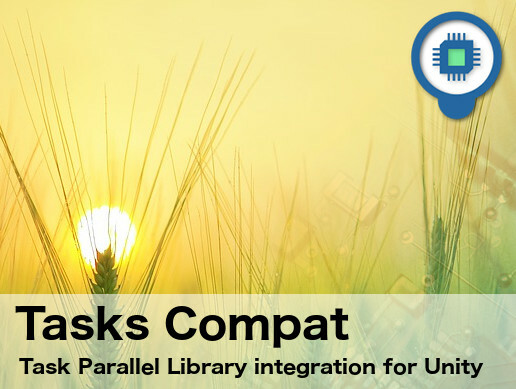 Compatibility with original .NET TPL classes, meaning you can use Tasks and switch from Scripting Runtime Version 3.5 and 4.6 with no code changes required. - Sample scene with common usages. - Support for using 'async' keyword on old Unity versions.